The Victorian Playhouse is a classic beauty. 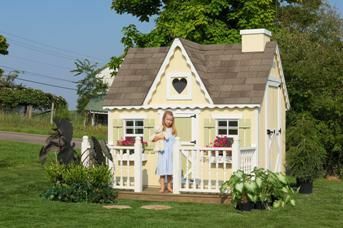 This playhouse comes in several sizes and boasts fancy gingerbread trim and a cute heart-shaped window. This house is perfect from homemaker, to career woman, to princess!